Our friendly and approachable team are experienced in what they do and are committed to providing the "extra effort" in assisting our clients to solve their problems and achieve their goals. 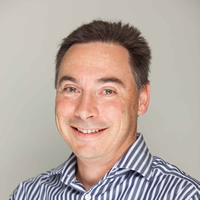 Stephen Palmer graduated from Auckland University in 1986 with an LLB (Honours) degree. Stephen is a member of both the Property Law Section of the New Zealand Law Society and a member of the Auckland District Law Society. Stephen is married to Anne and has two teenage daughters. He has lived in the South Auckland area for the majority of his life and is committed to the region. Stephen specialises in property law, commercial law, Trusts, Wills, Estate and Succession Planning and has built up a network of professional links in these areas. Stephen acts in an advisory capacity and as a board member on various Christian charitable and educational trusts. He is in active leadership in the Presbyterian Church that he and his family attend. 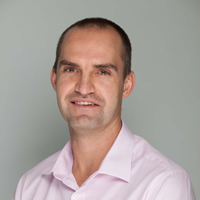 Admitted in both New Zealand and South Africa Jean-Pierre Theron (also known as JP) is a Partner at the firm and practices in the Property, Business and Trust and Estate Planning arenas. Jean-Pierre has an interest in Governance and has benefitted from Director Development programmes undertaken through the Institute of Directors while serving on charitable boards. Outside of work, Jean-Pierre enjoys spending time with his young family, pursuing outdoor activities, riding trail bikes and horses. He is involved in the PAPSDA Community Church where he is a member. Allison Lowe is a Registered Legal Executive who joined the firm in 2011. She will be well known to many in the local community. 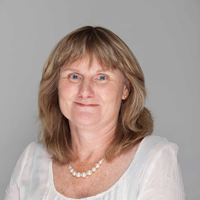 Allison joined Palmer Theron with over 32 years of legal experience under her belt. 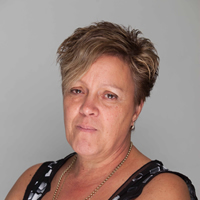 She primarily practices in property conveyancing matters. Allison has three adult sons and lives with her husband in rural South Auckland. Outside of work Allison enjoys spending time with family and friends and also enjoys walking our beautiful beaches and trails and traveling within New Zealand and the Pacific. 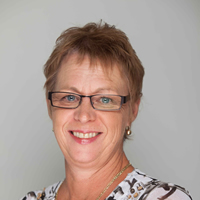 Tracey has been working in law offices primarily in conveyancing matters since 1981. Outside of work she enjoys spending time at the family bach, walking on the beach, swimming and board riding. 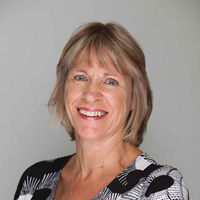 Tracey has recently acquired an interest in mountain biking and she enjoys cycling the many trails that have been opening up in the Bay of Plenty and Auckland regions. Beryn is a senior legal secretary having worked in that capacity for most of her adult life. As at the date hereof Beryn had been working for the partners, Stephen and Jean-Pierre for 16 years and 9 years respectively. In her free time Beryn enjoys spending time with her family, gardening and watching golf on the television. Anne joined Palmer Theron in 2006. Her responsibilities include overseeing the Trust Account, General Office Accounts and Reception. Outside of work she enjoys spending time with her family, traveling and supporting the Vodafone Warriors.